Solar geysers in South Africa has grown in the last few years. It’s an economical way to save money on your electricity bills. As a matter of fact, homeowners don’t know exactly how much they can save on water heating costs by using one. This article will cover all the benefits of solar geysers South Africa. Water heaters reduce monthly energy costs. There is an initial “upfront” fee, but that money is quickly recovered. Solar power is the purest form of energy available. Consider making use of the suns energy to effectively heat your water at home. Solar geysers rely on the basic principle of using the suns energy to heat water. As a result, it has been estimated that by using one at home, water heating costs should decrease by 50%–80%. This is a massive saving for the average person. Also, its free energy so you’re safe if Escome decides to hike up the electricity prices or insist on more load shedding. Investment Payback Period is short. Protection from power failures and increased electricity tariffs. Solar energy is free. Water heating will be free. Furthermore a nice boost in your property value. Save the environment with clean energy usage. Start saving money on water heating from day one. Reduce water heating by as much as 40% monthly. Maintenance & servicing is generally very low. SABS approved solar geysers have a 5-year guarantee. Direct Solar Geyser – using this system, the water is just circulated through the solar collector. The water then warms up and returns to the water supply. Its a much cheaper system to run. Additionally, these systems don’t handle cold weather well. 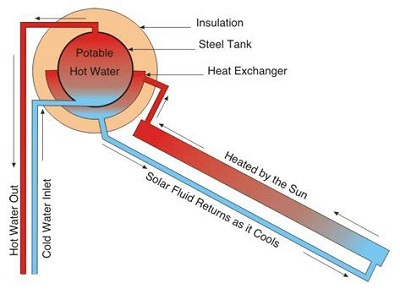 Indirect Solar Geyser – heat exchanger and transfer fluid are needed with this system. This is a more complex system to install. Using a heat exchanger makes it more costly. These types of geysers also do well in colder climatic regions of South Africa. When you are ready to buy, you will need to get solar geyser prices. The cheapest solar geyser price is never the best way to go. It is made cheaper and you won’t get as much saving out of it in the end. Especially when compared to the more expensive versions. It really depends on how much you want to save. Remember that most of these systems pay themselves off in a relatively short time frame. Usually around 2 – 3 years. It will continue to save you money for at least another 10 years. It’s always advised to get the solar geyser prices for a couple of companies. Do a bit of homework before investing in renewable energy sources. How long does it take for a solar geyser to heat up? How long does it take to heat a full tank? 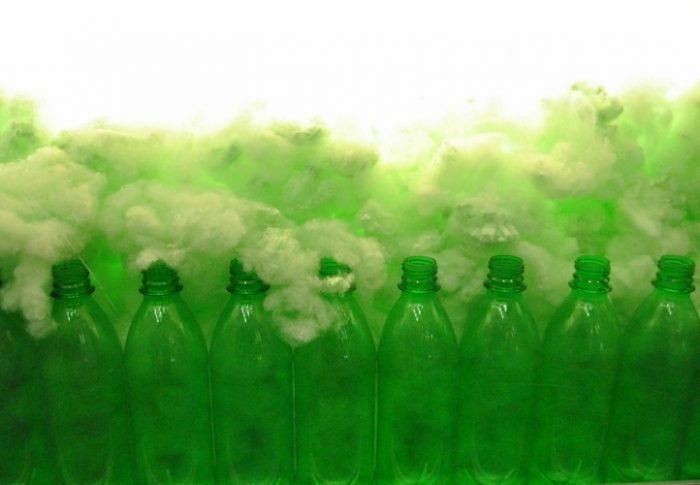 Using electricity, a 300-litre geyser can heat up in around two hours. When solar alone is applied, it could take four to five hours to heat a 300-litre geyser. One of the first questions many homeowners in Johannesburg, Pretoria, Durban and Western Cape ask themselves is which solar geyser system should they buy. 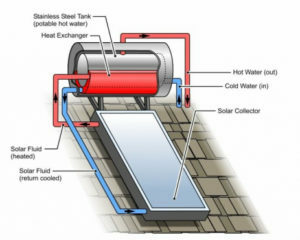 The traditional solar geyser system is known and the flat-plate collector system. Additionally, these were the first kind to get manufactured in the 1950’s. Consisting of a solar panel which is mounted on the roof. A geyser is then connected to the top of the panel. The geyser can also be connected inside your roof void. How Does The Flat Plate Collector System Work? Cold water slowly enters through the bottom of the panel. When the heat from the sun warms up the solar panel, the water warms up and rises. Moreover, the newly warmed water rises right to the top of the panel. Once it reaches the top it is pushed back into the geyser. These systems have a proven track record and have given hot water to many households in the past. The evacuated tube collector system is the newest system to be manufactured. They are built with the latest technology and have only been available for the last few years. 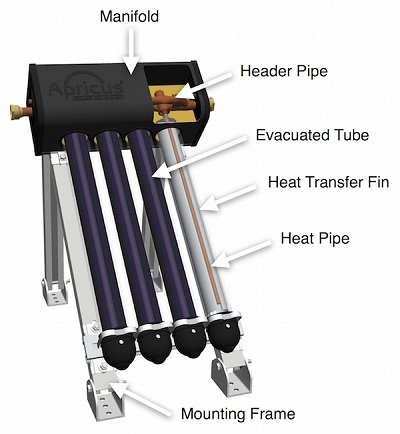 Evacuated tube collectors systems are currently the most efficient collectors on the market. Designed for conditions where sunlight is scarce. Moreover, they are made for temperatures much cooler than the flat-plate collector system. Evacuated tube collectors do not use direct sunlight for heating. They make use of UV rays. Considering the hot climate in South Africa, evacuated tubes are best-made use of in cooler climates or if the following conditions can be achieved. How Does The Evacuated Tube Collector System Work? These systems are more complex than the old traditional solar geysers. They make use of cylindrical tubes made of glass which are connected to a specially made frame. It’s then mounted to the top of your roof. Furthermore, on the inside of the glass tubes is a thin copper piece the stretches the length of the glass tubes. Each of the glass tubes is also filled with a chemical. Moreover, the chemical begins to boil when it reaches a temperature of around thirty to forty degrees. Additionally, heating up the copper inside the tubes. The copper begins to heat the water. Heated water can be pumped back into the solar geyser South Africa.